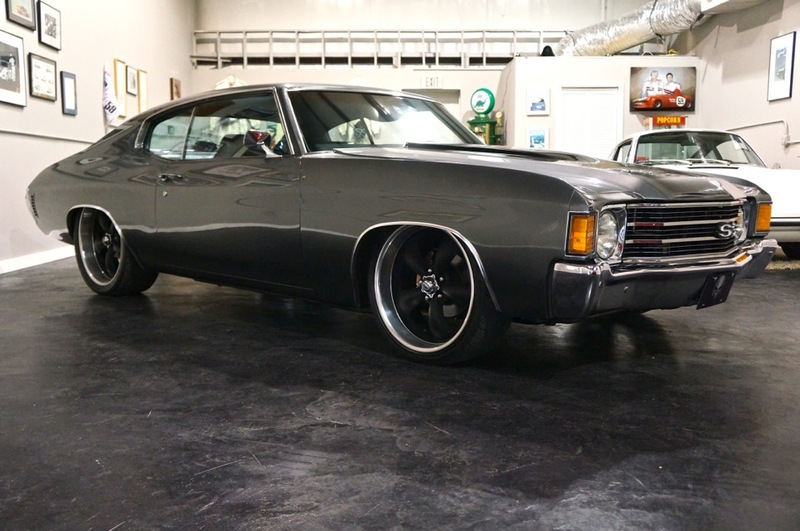 Thank you for taking a look at this 1972 Chevelle SS. This American Icon is the ultimate show stopper, and was built to be one of the best Muscle cars in the country. No expense was spared on the build of this Chevelle. 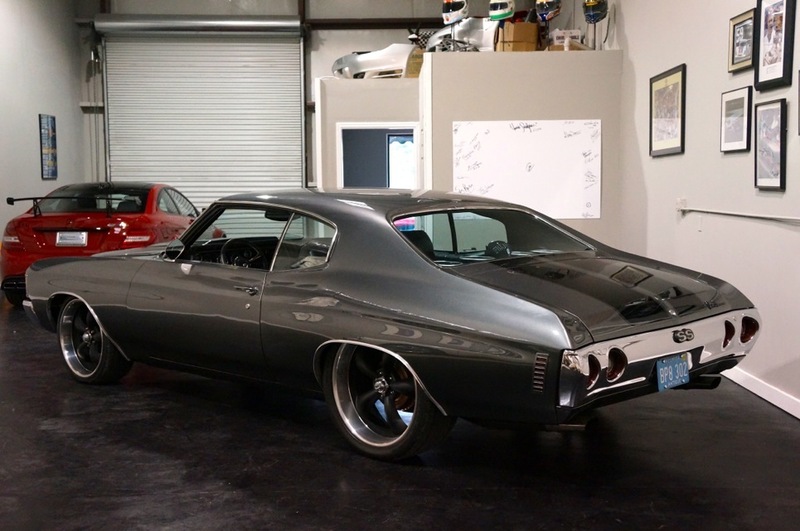 The build of this Chevelle SS had two things in mind. One of them was ease of ownership and drivability, and one was creating a car that is the full package. From the Suspension to the powertrain, the interior to the paint, everything was done RIGHT. 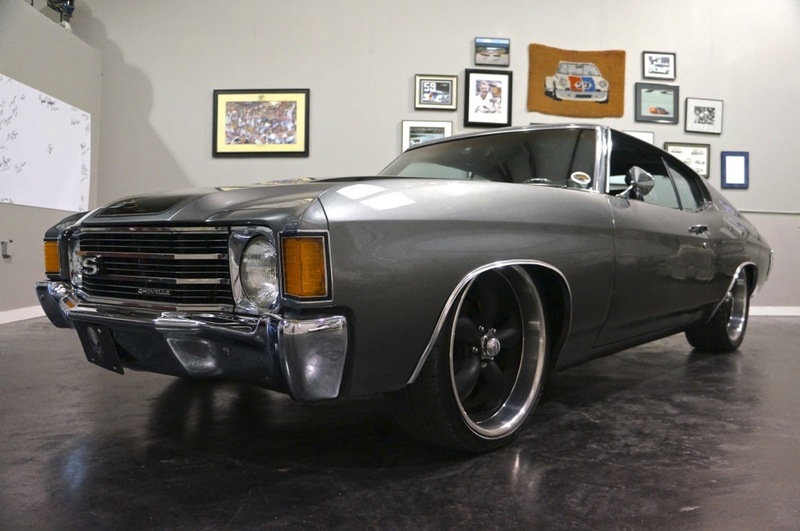 You will not find another Resto-Mod Pro Touring Machine on the market like this Chevelle. The car has spent it’s life in California, until 2000, when it moved to Texas, and ultimately got it’s build there, before making it’s way here to Florida. The car has a perfect body and frame. No rust, no flaws, purely ready for any Rod show or Car meet. The car is powered by a 496 Big Block boasting over 500 horsepower and 500 foot pounds of torque. Unlike most Pro Touring cars out there, this car has the power to back up the look. Fast enough to easily outrun most sports cars today, this Chevelle is not for the inexperienced! The car has an MSD Pro Billet Ignition, American Auto Wire Wiring Harness, Magna Flow Stainless Steel 3″ Exhaust, Big Mother Thumper Cam, Custom Made Valve Covers, March Billet Pulley Assembly, A Ford 9″ Rear End, Custom Built 700R4 Transmission with a B&M shifter, and much more. The suspension is full Ride Tech Billet Adjustable Air Ride. The car has an adjustable system, which can be controlled from the cockpit of the car with ease. Raising and lowering the car fromeither Presets, or by manually adjusting each corner of the car is effortless. The car drops to the frame, and can raise 8″ from that point. The car has full Ride Tech Tubular Control Arms as well. The Coy Wheels finished in Satin Black with a polished lip match the look of the car amazingly. They are Staggered 20″ in the front, and 22′” in the rear. The car has Vintage Air Conditioning and Heat. It blows colder and hotter than any vintage car we have been in, making it a comfortable car to drive in any weather. The car has Dakota Digital Cruise Control which sets easily as well. The interior is finished in a LIKE NEW Black Interior, with everything from Perfect seats, to German Quality Thick Pyle Carpet and Trim. A Billet Specialties custom Steering Wheel give the car the little hot rod look that it needed on the interior, while still maintaining that Retro 1970’s look. The Car has a Competition Grade Custom Stereo, that was built for the most discerning Audiophile. Over $1500.00 alone was spent in Dynamat to keep the car rattle free, and feeling tight, like a car should. This is a step in a big build like this that MANY overlook, and it can make or break the feel of a car. In this case, this Chevelle is solid as a ROCK. The deck is a JVC DVD/CD Single DIN Receiver. In the trunk hides 6 (SIX) JL Audio 12″ Subwoofers in a custom Fiberglass enclosure. The back deck houses 4 JL Audio 6″x9″ Speakers. The car is powered by two MMATS Amplifiers, and supporting products. It is the ULTIMATE stereo system. Please bear in mind, that this car was BUILT TO DRIVE. It was built to be enjoyed. Could it be a garage queen? YES. Could it live in a museum? YES. Should it? NO. This car was built to drive, built to be very fast, and very comfortable, all at the same time. No expense was spared in this car. There is over $110,000 invested in the build of this vehicle.